Answer the two test questions at the end of each chapter using the answer sheet that accompanies the book. 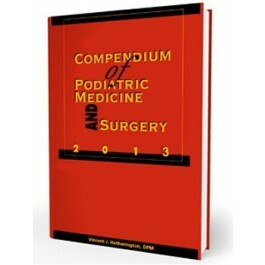 Compendium of Podiatric Medicine and Surgery is updated on a yearly basis and your subscription is automatic with the purchase of this publication. Subsequent books will be sent to you automatically and billed at the then-current prices. If you do not wish to receive any updates, you must write a letter with your name, company name, address, phone number, and publication, to cancel your subscription. Cancellations may be faxed to 410-494-0515 or mailed to Data Trace Publishing Company at P.O. Box 1239, Brooklandville, MD 21022-9978.
edited by Ziad Labbad, M.D., D.P.M. ; Angel A. Cox, D.P.M. ; Robert W. Herpen, D.P.M. ; Marc Karpo, D.P.M. ; James McGuire, P.T., D.P.M. edited by Erika M. Schwartz, D.P.M. ; Erin R. Robles, D.P.M. ; and Robert J. Toomey, III, D.P.M. edited by Bruce G. Greenfi eld, D.P.M. and Rhonda Cornell, D.P.M. edited by Jane Pontious, D.P.M. and Andrew J. Meyr, D.P.M. edited by Jobeth Rollandini, D.P.M. ; Kamaran Hussain, D.P.M. ; and Lawrence A. DiDomenico, D.P.M. edited by Andrew J. Meyr, D.P.M. and Kelly Pirozzi, D.P.M. edited by John S. Steinberg, D.P.M. and Tonyka James, D.P.M. edited by Kathya M. Zinszer, D.P.M. ; Marcus Riedhammer, M.D. ; David L. Troutman, D.P.M. 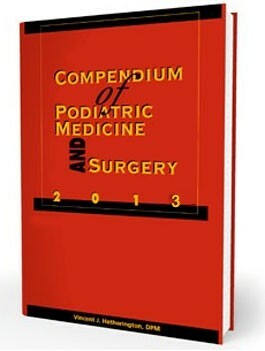 edited by Jinsup Song, D.P.M., Ph.D.; James A. Furmato, D.P.M., Ph.D.; Steven J. Pettineo, D.P.T., O.C.S., C.S.C.S. ; and Kendrick A. Whitney, D.P.M.